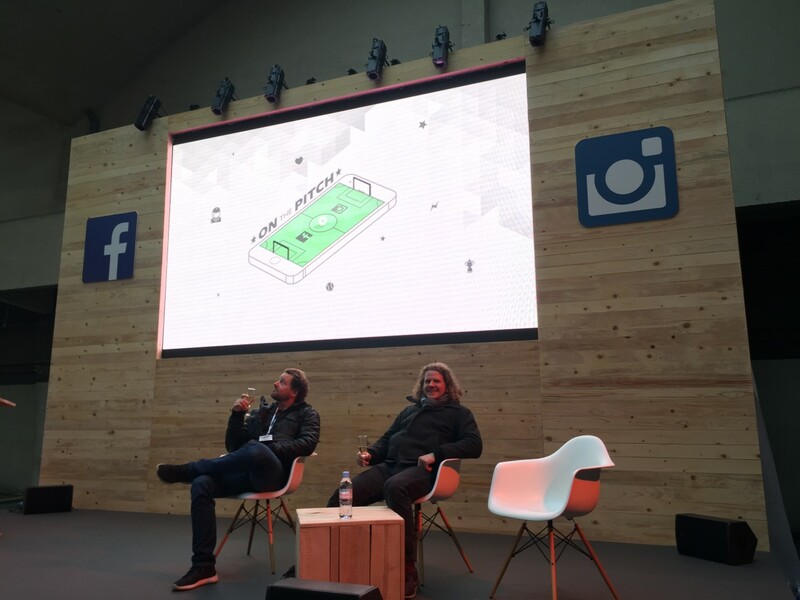 Týrsday went to "On the Pitch" an event hosted by Facebook in Paris on sports and mobile. Mobile is the new normal and this holds especially true for sports. Some insights. It is not often that you get an invitation from Facebook. So it sounded like a good plan to listen to the good folks of Facebook, since the topic was “sports in the mobile age”. The event was literally held “On The Pitch” at the (fairly cold) Tennis Club de Paris. For the first time in history Facebook and Instagram took a deep dive in their data. Their insights team offered some very cool findings for us. Týrsday made some notes and is very happy to share the outcomes with you. The most obvious fact of the day was also the most important: Facebook is not about computers or the desktop. The entire event revolved around the mobile phone. The pivot of the tech behemoth some 4 years ago from desktop to mobile has made Facebook the strongest player on the mobile screen. Facebook uses the immersive presence of its general app to give birth to new apps like messenger or to embrace powerful existing apps like Instagram. Since sport happen far away from non-mobile internet, Facebook is leading the pack in the connection to sports fans. To further increase the lead, even when people are watching sports at home, the device they use most (next to the “traditional” TV) is their mobile phone. A quote uttered several times during the event was: “people only use 5 non-native apps on their phones for 80% of the time. Facebook and Instagram (and Whatsapp) are in this top 5), so we are the springboard to sports and other content.” To give some credit to this near-hubris: Facebook had over 350 million football fans during the World Cup in 2014 and on an average November in 2015 still 1.6 billion interactions about football were placed in the timelines of people all around the world. Facebook speaks of 650 million sports fans on their platform. That’s about 43% of 1.6 billion Facebook users, this seems like a low number, so this must be the people that have actually “told” Facebook that they are a fan of sports through liking a page of a club, sports, athlete or event. Still it 2/3 of a billion people is a lot to communicate to. It probably comes as no surprise that football tops the charts as the most popular sport on Facebook. Besides football Facebook did research on rugby, tennis (hence the location of the event), athletics, golf, Formula 1 and cycling. Most of the results can be found here. Some other insights could be obtained via a gigantic iPad. 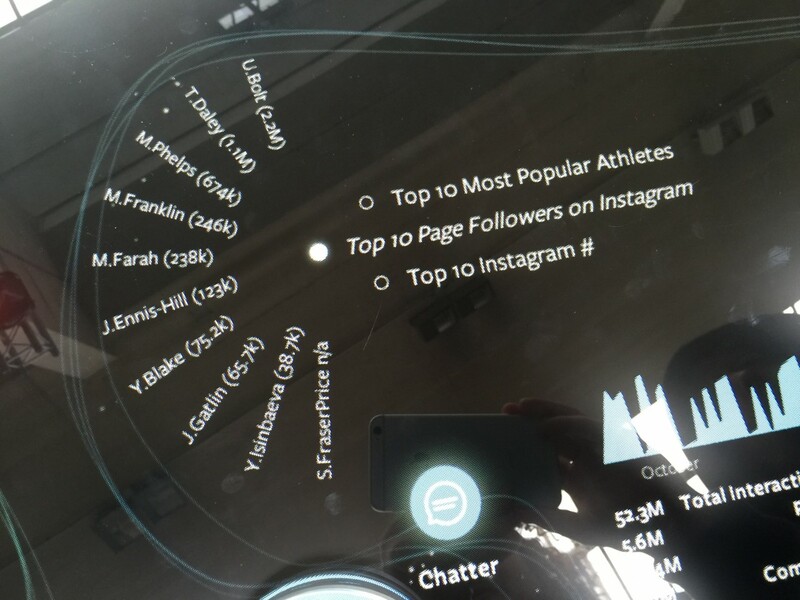 Below there is a list of athletes with the most followers on Instagram. The number of users per sport vary widely per sport and between Facebook and Instagram. Facebook is mostly about interaction around events and matches. Instagram about following your favorite athletes. Some of the numbers on pro cycling, mostly a sport of any given Sunday. Týrsday's strong focus on the athlete as a personal brand resonated strongly at this Facebook event. Facebook it self is not in the business of content and does not plan to compete with sports, athletes and events. So the platform is a great place to build a following, to connect with your fans and to bring traffic to your own branded environment. Týrsday athletes get the majority of their traffic from Facebook, which makes Facebook an important business partners for athletes, sponsors and organisations in sports. Even though new products such as "Facebook Stadium" and "Facebook Mentions" got little attention on stage, it was good to see Facebook opening up towards sports. Also the data offered some nice insights on how Facebook works and how people use Facebook and share content on the platform. Feel free to contact us if you would like to hear how Týrsday integrates all the possibilities of Facebook and Instagram in our content strategy.